A Maldives holidays is your very own paradise - 1200 beautiful islands scattered across the Indian Ocean, off the tip off India. Just picture this…crystal clear waters lapping power-soft white sand beaches, palms swaying gently in the breeze and a beachside seafood lunch, all this is on your holidays to the Maldives. 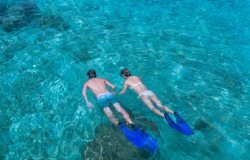 The lagoons simply teem with wildlife - best viewed snorkelling off the beach but if you prefer a drier option then why not take a glass bottomed boat ride for a peek at the spectacular underwater life. Families, couples and solo travellers will all find something to delight them on a holiday to the Maldives, from excellent water sports to sumptuous spas, and of course there’s always the option of doing absolutely nothing, except to perhaps relax with a good book and a stunning backdrop. Now what’s not to like? 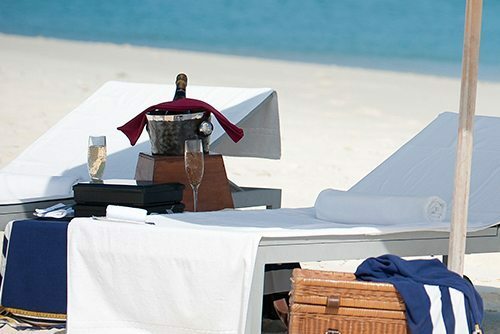 The JA Manafaru is the ideal luxury Maldives holiday,an award winner and a perfect luxury Maldives hotel for both couples and families a like. Interested in knowing more about our hotels on your Maldives holidays, then click here. Whether its snorkelling from the beach, a glass bottom trip, deep sea fishing or just sunbathing whilst supping cocktails, there are some great ideas that might take your fancy on a Maldives holiday. If you dont fancy diving or just want to take things slowly, snorkelling in the Maldives is one of the best places in the world. There is so much you can see around your island or on a snorkelling trip. Climb aboard a 38ft cruiser for a deep sea fishing trip of a lifetime. Try your luck at catching some Wahoo, Tuna or the elegant sailfish. On your return, the JA Manafaru chef will prepare a lunch or dinner with your ‘catch-of-the-day’, just the way you like it or in Maldivian style. 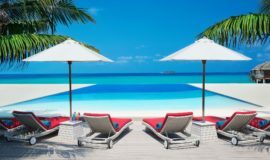 The most ideal time to a Maldives holiday for the weather is in the British winter months between November and April, which generally means the high season is between the months of December and March. The rainy monsoon weather is generally from May to October and so generally the low season with regards to holidays to the Maldives and if wet, there is little to entertain you except eat and drink! 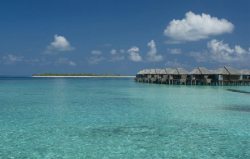 To ensure your holiday to the Maldives is as enjoyable as possible, we have some top tips for you. Although your international flight might be 23kg and above, a domestic or seaplane flight will be stricter at about 20kg, so check this before packing. The majority of what your will be wearing will be swim wear during the day, make sure you pack something to just throw on to go into restaurants and bars such as a Kaftan or t-shirt. make sure you take a few as there is nothing worst than sandy clothes. Most restaurants will be smart casual, so check out where you may want to eat and pack appropriately. Take basic medicine with you that you use, but ensure it is not a band substance due to the Maldives being a muslim country. Also don't forget Mosquito repellent and insect bite cream. A MUST is a waterproof camera, or at the very least a waterproof cover for your camera phone. Underwater pictures of the family are some of the best that will be and stay in your family album whether printed or digital. As advised before, unless you are an avid diver and have your own equipment, leave this at home as it will only add to the weight of your luggage that can be restrictive with a seaplane transfer. Guests of JA Manafaru can avail to complimentary usage of snorkelling gear at their Dive centre. Remember you are on a small island in the middle of the Indian Ocean and although the very best hotels stock up with everyones favourite chocolate, snacks or even your toiletries etc… they won’t have everything so make sure you take not just what you need, but what you want and will miss. As The Maldives is a Muslim country, you do need to abide by their laws of importing certain items, so please research this before travel. Everyones instant picture of the Maldives is water villas over the turquoise water of the Indian Ocean. Depending on who you are travelling with will play a huge part in choosing your room. A water villa, perched over the azure water that you can dive into first thing in the morning is fabulous, however if you love the beach and especially if you have kids, a beach villa will most probably be better suited. You can however if on a special holiday such as an anniversary or honeymoon, mix a water villa stay with a beach stay and get the best of both worlds.